Gerald was born in Vienna, had his first guitar lessons with Prof. Otto Zykan, studied classical guitar at the Conservatory in Vienna where he received his concert diploma with distinction. Later he attended David Russell's master classes, continued his studies with Luise Walker and studied jazz guitar with Claudius Jelinek. Since 1992 he has been teaching classical guitar, jazz guitar and chamber music at the Prayner Conservatory for Music and Dramatic Art in Vienna. 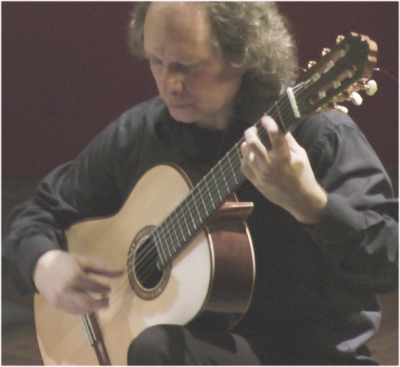 Gerald is co-founder of the international guitar festival "Forum Gitarre Wien", where he served as Artistic Director together with J. Panetsos for many years. Later he initiated the events "Jazz & Literature". His compositions and books have been published at Musikverlag Trekel (Hamburg) and Edition Canticum (Vienna). His musical activities reach from participating in jazz groups as well as playing classical chamber music with ensembles such as the "Ensemble Celeste", the "Vienna Guitar Duo" and the "Boccherini Ensemble". Gerald is playing a guitar made by the greece guitarmaker Alkis Efthimiadis..